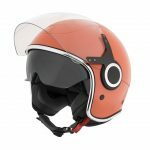 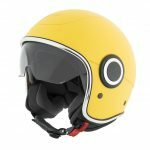 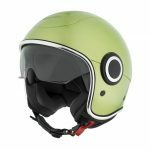 Get colour-coordinated for summer scooter style with the new VJ and VJ1 Helmets from Vespa, designed to match to their latest models. 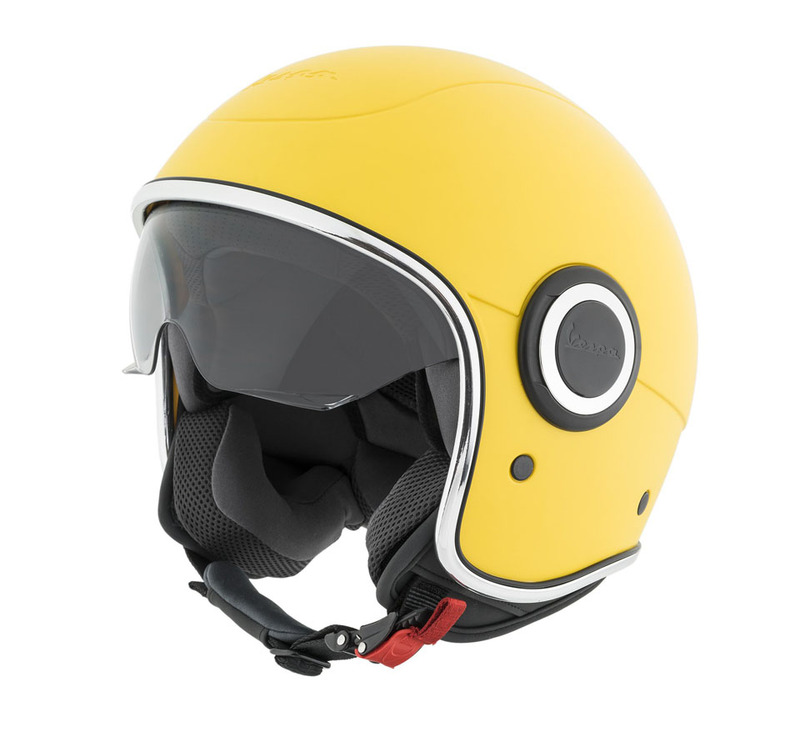 Painted to perfectly match the popular Primavera, Sprint and GTS scooters, and even the exclusive 946, Vespa VJ and VJ1 Helmets combine modern components and materials with classic open-face styling. Ideal for urban use, the designs offer all-round vision, and are compact enough to fit in most scooters’ under-seat storage compartments and top boxes. 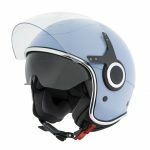 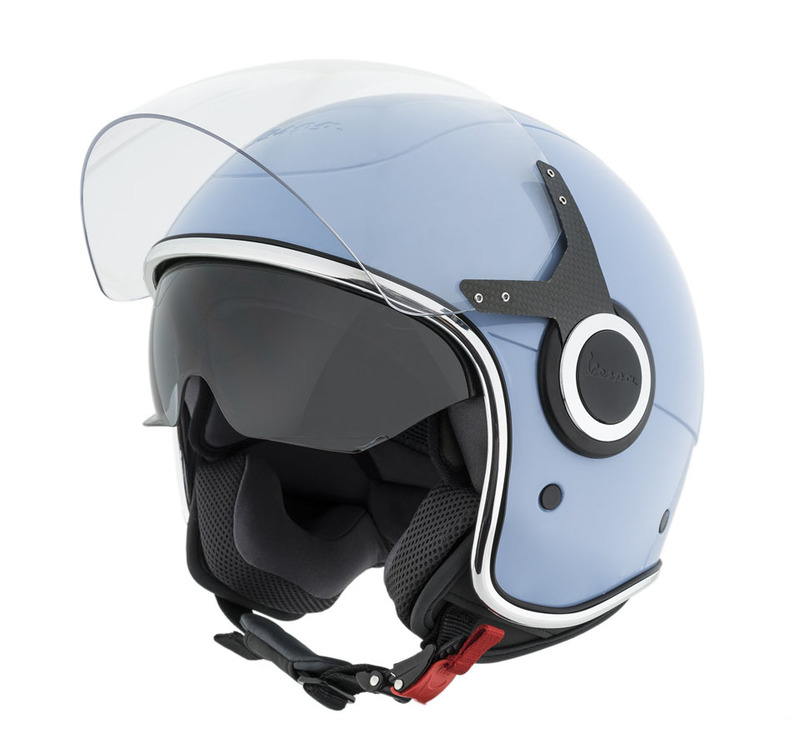 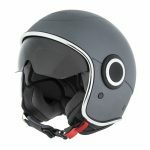 Unlike many ‘traditional’ open-face helmets, both are fitted with a retractable sun visor, and the VJ also comes with a full-length clear external visor as standard. 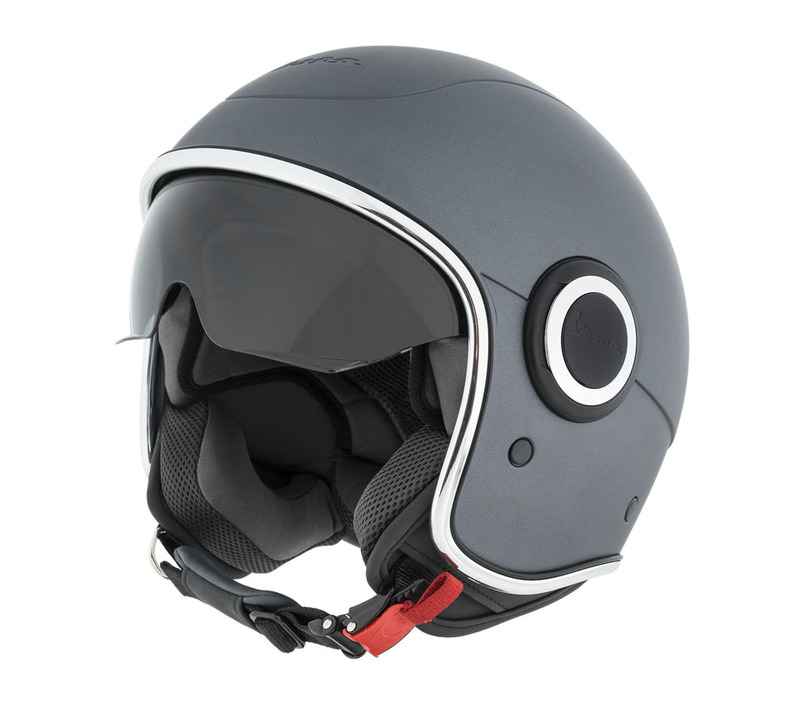 Both models have a strong yet light ABS shell, fastened with a quick-release, micro-adjustable strap, and are approved to the ECE2205 safety standard. 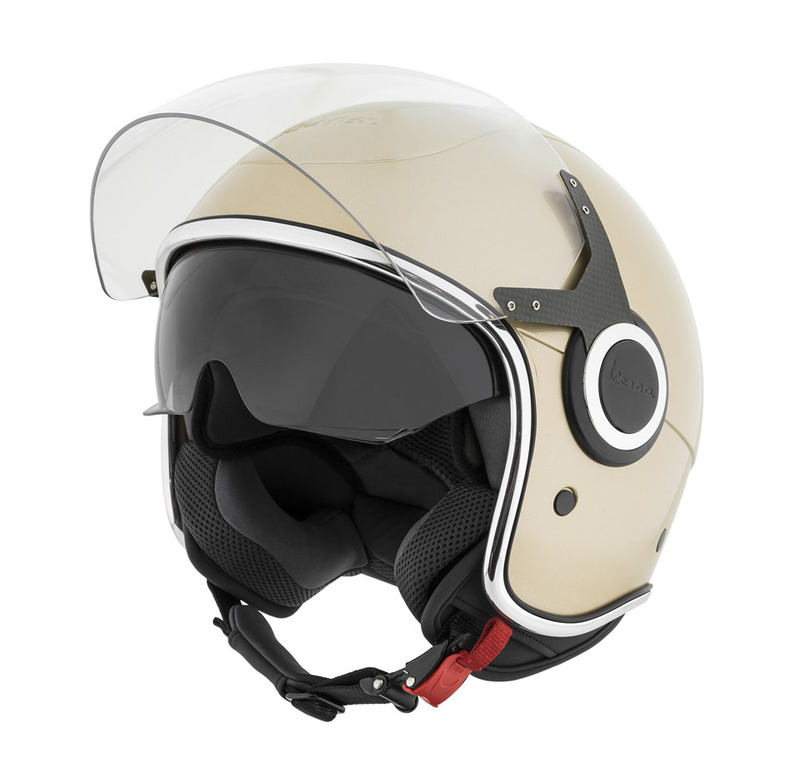 Inside, a breathable textile lining keeps the rider comfortable and cool, and it can be removed and washed as necessary. 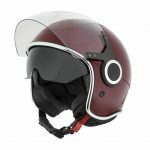 The VJ comes in sizes XS to XL, retailing at £139.00 in Azure Blue, Burgundy, Coral and Cream. 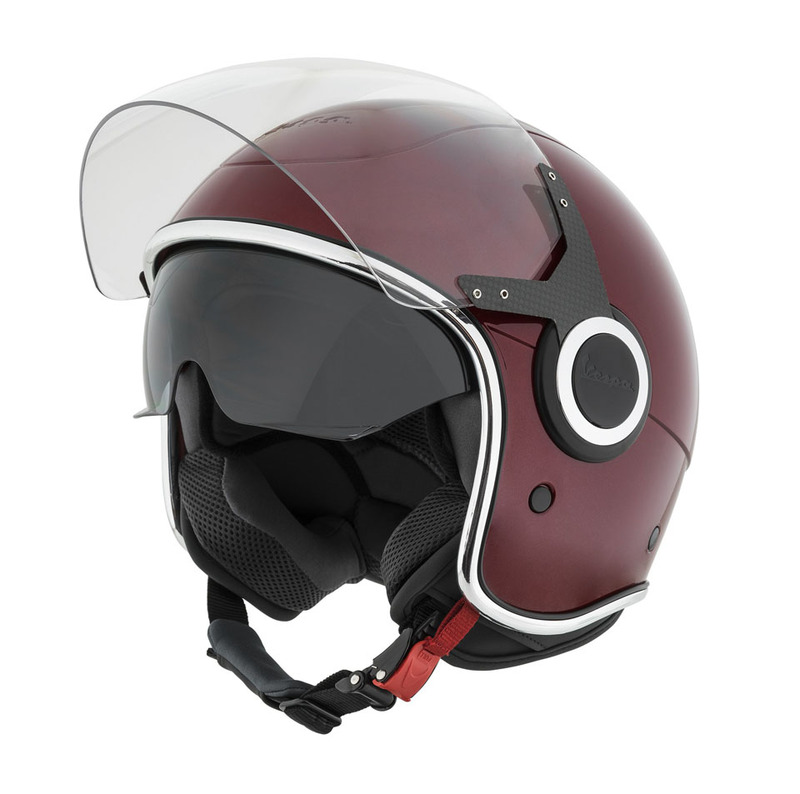 A stylish chrome trim and a subtle Vespa logo on the front finish off the classic look. The VJ1 also comes in XS-XL and retails for £125.00. 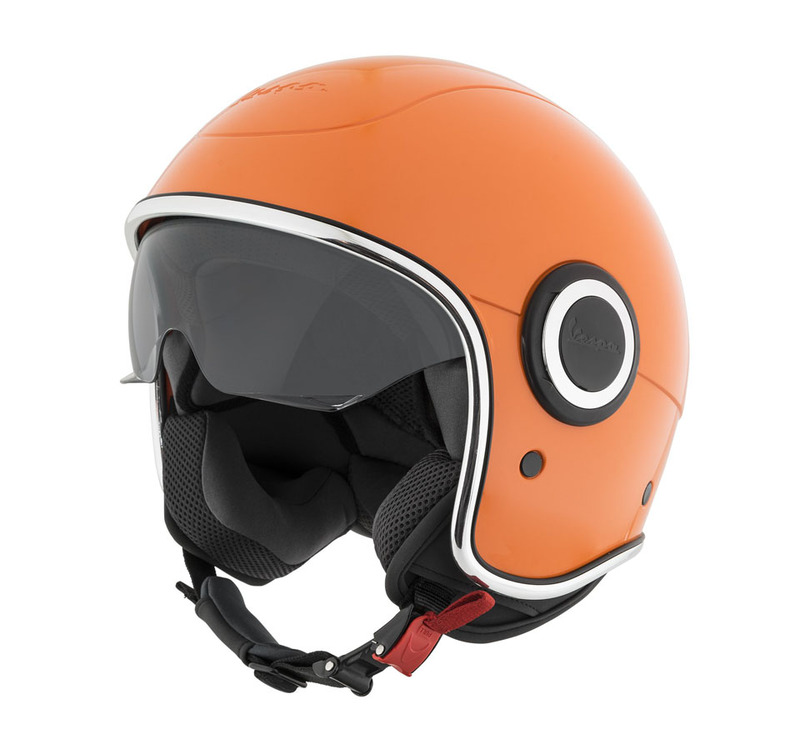 Choose from Orange, Titanium, Yellow and Green. This entry was posted in Piaggio, Vespa on 29/06/2018 by Dan Sager.